Johnson/Evinrude OMC Fuel Pump Kits. For models 9.9-235HP V-6. 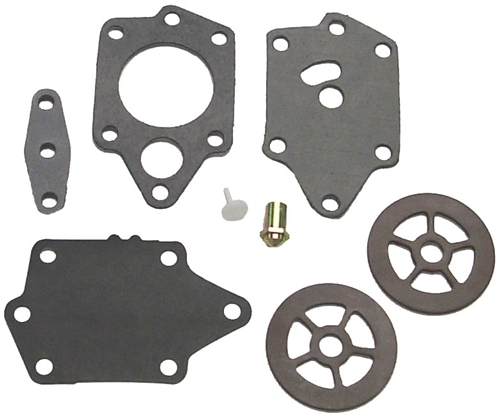 This kit comes complete with Diaphrams, O-rings and all Gaskets needed to rebuild fuel pump. See How-To Pages for exact part Cross Reference guide.